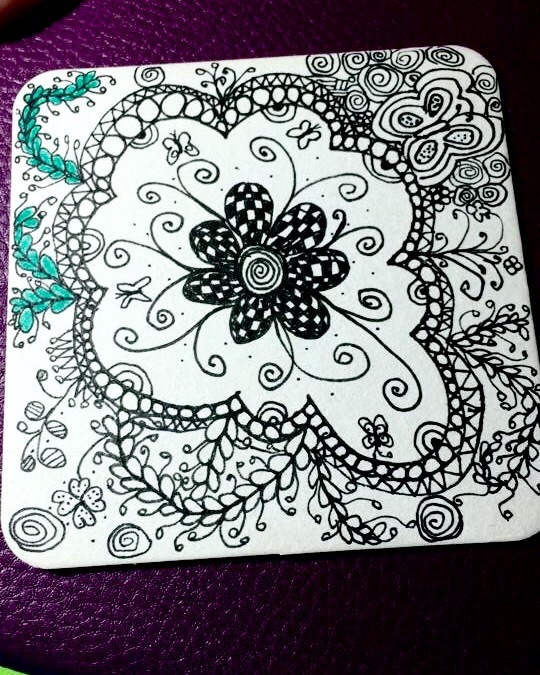 Posted on January 2, 2015 by Kat, aka "ArtyKat"
I am committing to doing one Zentangle Inspired Art (ZIA) per day, and most will have color. I started this earlier when it was still Jan 1. But now it is past midnight so it’s the 2nd. Every year I have a word for the year. This year it is RELEASE. It is most appropriate in my art because I always want it to be perfect, and I make the art with marketability in mind. That HAS to stop! 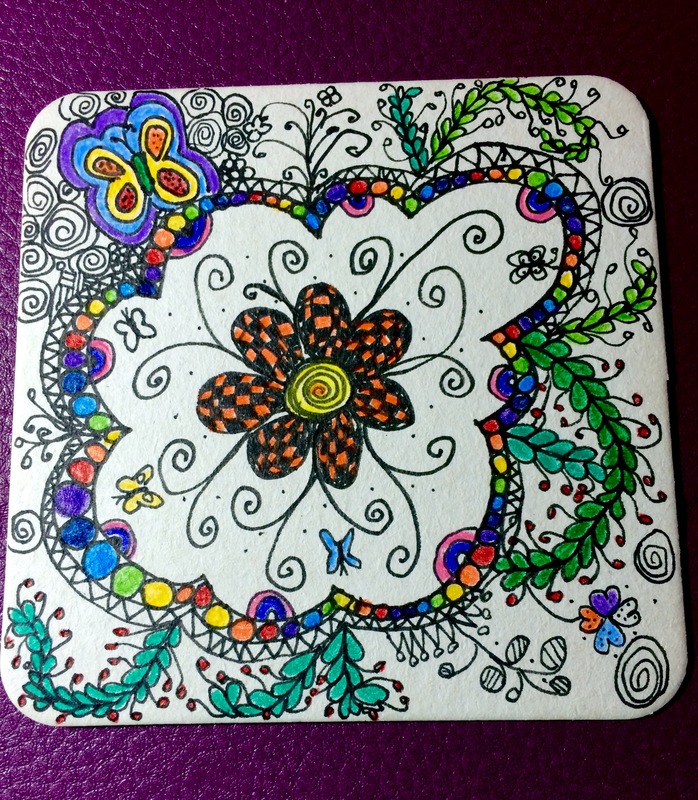 Especially with the Zentangle style work… ZEN. Not uptight but enjoying the journey, and making art for me, today. Here. Now. The work below is definitely out of my comfort zone! And since it is a WIP (work in progress), I’ll tell you that more color will be added. Feedback more than welcome! How did *you* RELEASE your creativity today?? Hi Kat, this is great 🙂 Are you joining Leslie Saeta’s challenge or doing this on your own? Kudos either way. I just wanted to remind you to post it to her site, you can use the link on my posts. You still have time I think to post for day one. No pressure, just a reminder. I love your rainbow colors, so happy! Thank you, Sheila! You are one of my muses(i have 2). Can i post it even though it isnt done! ?